The six story, 84 room mansion was built on over 1,000 acres in 1864 by Benjamin "Doc" Holladay, who had made his fortune from the Pony Express. Shipbuilder John Roach bough the estate after Holladay went bankrupt in 1873. 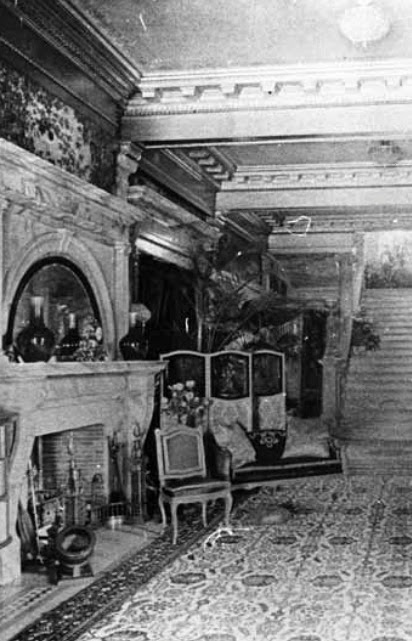 After he himself lost his fortunes, his son sold the property in 1886 to Elisabeth and Whitelaw Reid. 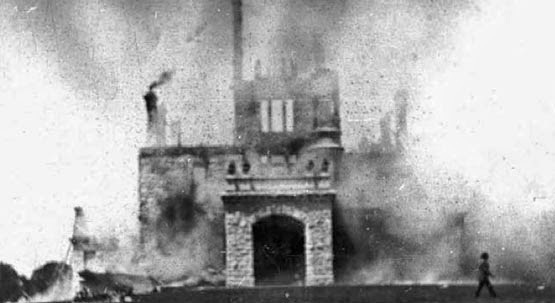 The house was undergoing renovations when it burned down in 1888. 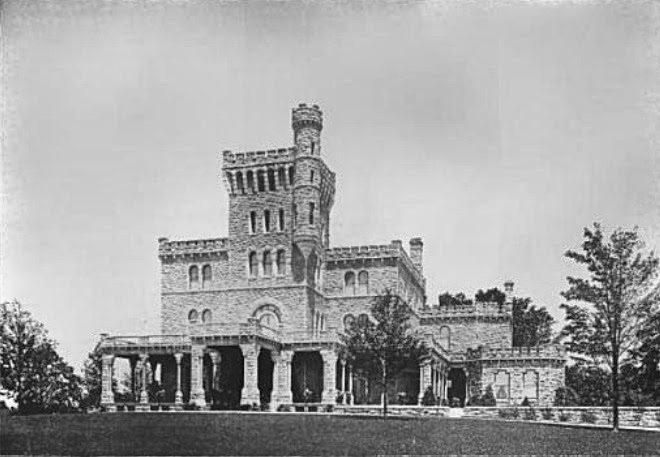 It was rebuilt by architects McKim, Mead & White and reopened in 1892, the same year President Benjamin Harrison asked Reid to be his running mate in the upcoming elections. A "deep" Salviati mosaic frieze three feet high decorated the top of the entry hallway's pink marble walls. It was definitely in place between 1892 and 1907, however, it is unknown what later happened to it. Above is the entrance hallway around 1892. The mosaics are visible to the left, starting above the fireplace.They mimicked tapestry foliage. After his parents' deaths, son Ogden Reid auctioned off all of the art in the house in 1935. The building is now owned by Manhattanville College and is called Reid Castle or Reid Hall. 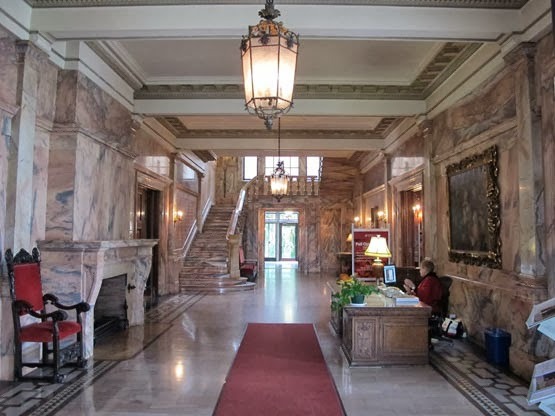 The mosaic frieze is no longer located in the foyer. "Ophir Farm." The Illustrated American. September 17, 1892. 196. Knox, Thomas Wallace. The Republican Party and Its Leaders. New York: P.F. Collier, 1892. 575. House Beautiful. Vol. 11, December 1901. 380. 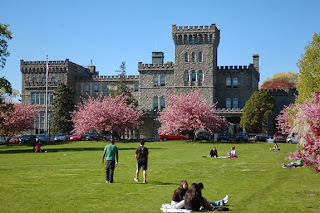 Manhattanville College. The History of Reid Castle. October 2011. Foreman, John. "Big Old Houses: But Would I Live Here?" "Personal and Otherwise." New York Times. April 21, 1907. "Art: Gutted Ophir." Time. May 27, 1935.